Philips Lighting Daybrite EvoGrid Collection Static air function LED lighting troffer in white color, has voltage rating of 120 - 277-Volts. Lamp in the LED troffer has color rendering index of 80 and color temperature rating of 4000K to ensure optimal light level in the surrounding. LED Lamp offers 4800-Lumens of bright light output. It measures 47-3/4-Inch x 23-3/4-Inch x 2-3/4-Inch. 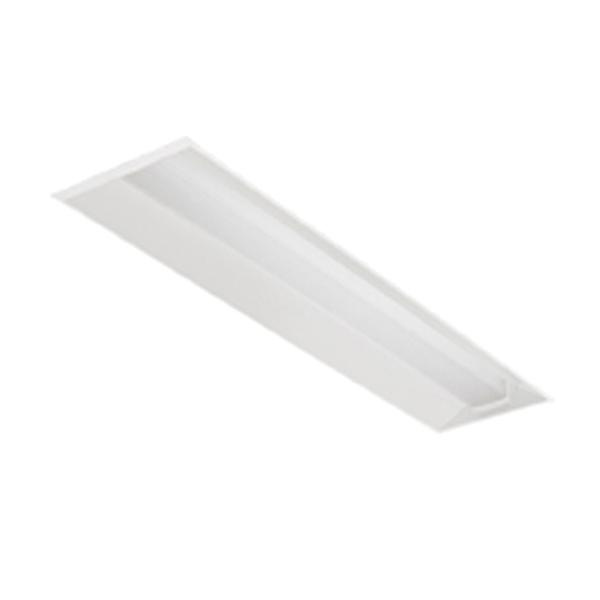 This recessed mountable LED troffer in matte polyester finish, has efficacy of 105.2 LPW. This rectangular troffer offers uniform, glare-free light distribution. It is ideal for office, banks, hospitality, fashion, education, hospitals and care centers. LED Troffer is cETLus listed and DLC certified.